With every photograph we take, we are building a visual connection between a buyer and a property. We seek out the best perspective and aspects of a residential or commercial property that will resonate with a prospect. Our photographs are meant to illustrate the story that buyers are writing in their minds as they search for a home. Since 2002, TK Images’ team of professional photographers and editors has showcased sellers’ homes to present them in their best light. We focus a keen eye and a deep passion on real estate photography to create that critical first impression. Led by owner Julie Pistone Krampitz, TK Images operates under the guiding tenets of quality, customer service, and dedication. Upgrade your real estate photography. Get started today. "We are experts when it comes to selling real estate, and when it comes to photography, we rely on 'the experts' at TK Images to photograph all of our listings. One of the best investments for marketing a listing is to have professional photography. As the saying goes- 'a picture is worth a thousand words.' TK Images has been an important part of Martha Turner Properties since 2002. 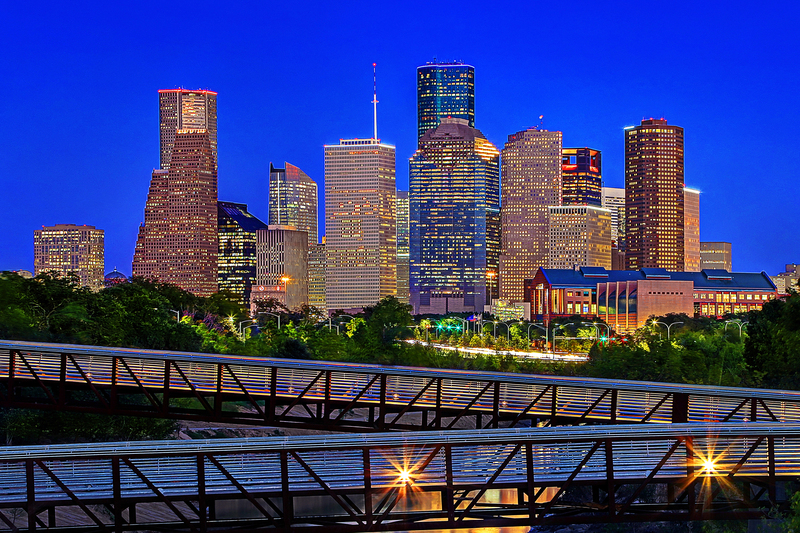 We love that they automatically load the photos to MLS for us and we are able to use the photos for our advertising needs, including Properties Magazine, Houston Chronicle, Houston Business Journal, brochures, direct mail pieces, and many more publications. They are fantastic, easy to work with, and do a great job!" "I specialize in the luxury market, but regardless of the price point, I have TK Images photograph all of my listings. They have made a $90,000 listing look like a million bucks … a few of my homeowners have had to think twice about selling because their home looked so good online. TK Images has always been professional, affordable, and great at what they do. Even in a pinch, they've always come through for me. I've sold 3 listings sight unseen based off the photos that TK Images shot. If you're looking for true professionals to showcase you and your listings, TK Images is the only answer." "I truly believe that my success is partly attributed to TK Images and how they make my listings look online. The photographers at TK Images are by far the most professional photographers I've worked with. They go above and beyond … from moving the seam of a lamp shade, to tucking in a bed sheet, they really focus on every detail. Every time they come out, I know that they're going to be on top of their game … doing the best shots possible and helping me get quick results on selling the listings fast." "TK Images just finished up an event at Bayou City Event Center with HAR and Bravo TV's Million Dollar Listing star, Madison Hildebrand! TK Images and staff are FABULOUS, personable, and extremely customer service oriented. Highly recommend!" "I just wanted to say ... I had a nightmare scenario when I arrived at my listing 45 minutes outside of town. There was construction mess. Cat hair. Paint cans. I flew into "American beauty" mode and I am just giving a shout out to the photographer who was a total trouper. Shooting around me, sweeping, and moving. She even helped move paint cans, etc., out of the way. Thanks again for hiring great people, and I look forward to sending you all my business." "TK Images has done our interior photography for many years. We could not function as effectively without them. They are prompt to respond, courteous, well priced, and quick to deliver a wonderful product." "The entire TK Images team is extremely professional and easy to work with — and the results are spectacular! My clients and I love all the different services that they offer, too! Love that TK Images is also very generous and supportive to the community and non-profits, as well!" "You can't go wrong with TK Images! Excellent work every time. You won't be disappointed." "Professional service and quality photography. Highly recommend TK Images." "Their work product is amazing. Important part of #ThePikoffTeam! We use them for every listing." "Over the last 13+ years, I have always used your services and greatly appreciated the beautiful pictures you have taken of my listings to make them look their best for MLS and for our brochures. Special thanks for your patience and eagle eyes, as well as putting up with my requests to review each shot before you left each listing." "Best photographers in the business! The service and professionalism from booking to final edits is absolutely top-notch. On occasion we have tried other, reputable photographers, but TK is our exclusive vendor and is always the preferable choice." "TK Images always provides exceptional photography for our listings. They are easy to work with and we would definitely recommend them to anyone." "I use TK Images pretty much exclusively ... the pictures were phenomenal. We had one agent who wanted to submit an offer sight unseen and her client was in Dallas, so he was pretty much just going off the pictures." "I absolutely love their pictures and attention to detail. They don't just go into houses and take pictures, they actually move things around and see how they look. The sellers love the pictures … I've gotten great feedback." "I always use professional photography with all of my listings … usually my listings sell very quickly any time I use them and my clients are always very, very pleased with the quality of work and how the photos turn out! They do such a great job and everyone there is so nice. They're always on time … they're always professional and produce a great product." "I cannot say enough great things about TK Images. I use them for all of my listings … because I believe in great quality pictures for my clients to get their homes sold! Not only are there photos great, they also use Matterport, which revolutionizes the way people can view the homes virtually! Every time I call to schedule an appointment, I am always greeted with a friendly and helpful person on the other end! :)"
"Well, I hate to give away all my trade secrets, but when I'm on a listing appointment, I refer to TK Images as my photographer. I tell the seller they may not even recognize their house once they see it up on HAR." "We have been working with TK Images for quite a while and they are a very professional, top-notch company. They have a very quick response time; their photos are gorgeous and we can't recommend them enough. TK Images is the only company we use to photograph our new listings and their prices are reasonable as well. Highly recommend!" "We have been using TK Images for all our listings for several years. Best photographers in town. The TK Images team is extremely talented, professional, and trustworthy. They also have a fast response during busy seasons; always delivering top results and photos. We strongly recommend them!" "My experience with TK Images has been phenomenal. TK Images' service is outstanding and they're an integral part of my business. I would recommend TK Images to all my fellow realtors." "In an industry where photographs are the number one marketing tool (in my book! ), TK Images has changed my business in two direct ways. One, their photographs have doubled the number of showings on my listings. And two, the days on market for my listings has dropped to half of the number it was before I started using them for photographs. I would not even consider putting a house on the market without my photographers!" "I appreciate everything you all are doing, the pictures are great, our houses are selling, and I believe a lot of that has to do with the great work you all are doing." "The quality of the photos TK Images produced for Pulte Homes was superior to any I have seen in the past. We had all of our Houston-area communities photographed; photos used from these shoots have massively enhanced marketing efforts from billboards to direct mail pieces to magazine ads. Their professionalism, creativity, and execution without micromanagement make working with TK Images a truly delightful experience." Brick + Mortar Real Estate Co.
"TK Images makes me and my clients happy. They are quick, hassle free, and do excellent work!" "LOVE my staging pictures on Morning Dove … where they added the chairs. It's fabulous! A miracle! Amazing!" "Just amazing. My client loved the professional images. Highly recommended." "The staff at TK Images are very amazing and very professional. They came and took pictures of my house and made it look wonderful. House sold quickly thanks to TK Images." "Quick and did an amazing job! They provided stock photos of the club house and everything was great quality. Would absolutely use them again!" "As a real estate broker, I see very few pictures as good as TK Images produces on a regular basis. Stunning quality for the years I have been using them."